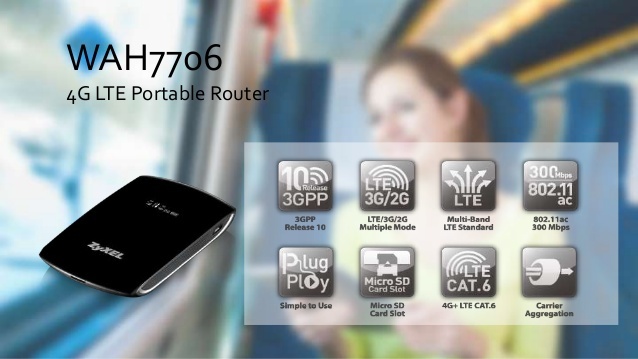 ZyXEL offers the cheap LTE-Advanced Cat6 Hotspot WAH7706 in January 2016. 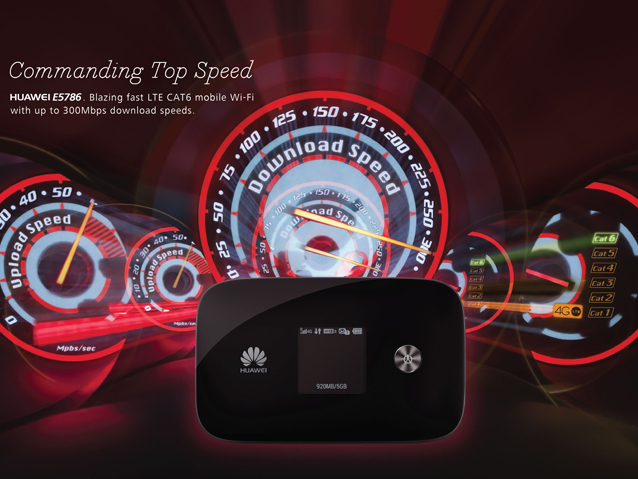 You can get the small portable LTE router with replaceable battery, which can reach up to 300 Mbit/s download speed. Up to 32 devices can be connected via the integrated WLAN ac simultaneously with an internet connection. 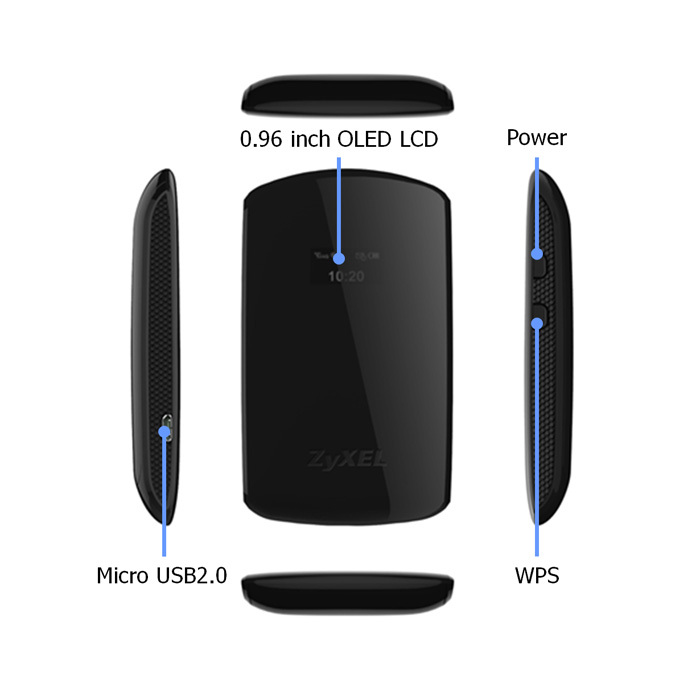 The ZyXEL WAH7706 is in direct competition with other vendors such as Huawei, Netgear and Alcatel one touch. 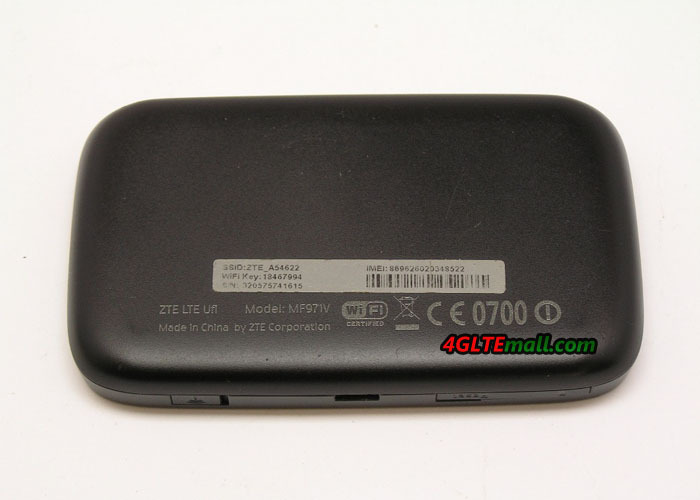 Today, we will have a look at what’s the key features of the new ZyXEL WAH7706 mobile hotspot. The ZyXEL WAH7706 LTE Hotspot is packed in a nondescript cardboard box. In addition to the router, a USB to microUSB cable can be found in the packaging, with which the battery can be recharged. There is also a good guide that contains all the instructions and information for controlling the WAH7706 and through many images is easy to understand. Unfortunately (but maybe only in my tester is the case) the instructions in English, and a power adapter is not included, so you need to use to an existing power supply with USB connector and the USB cable to charge the WAH7706 from PC. But it should not be a big problem because most users should always have at least one suitable power supply from their mobile phone at home. At first glance, the ZyXEL WAH7706 appears quite small and compact. At the sides, the device is flat, so the router is very well in hand. Overall, however, the design is very spectacular and the mirrored front is more disruptive than helpful, especially when it comes to read the small or low-light display on the front. 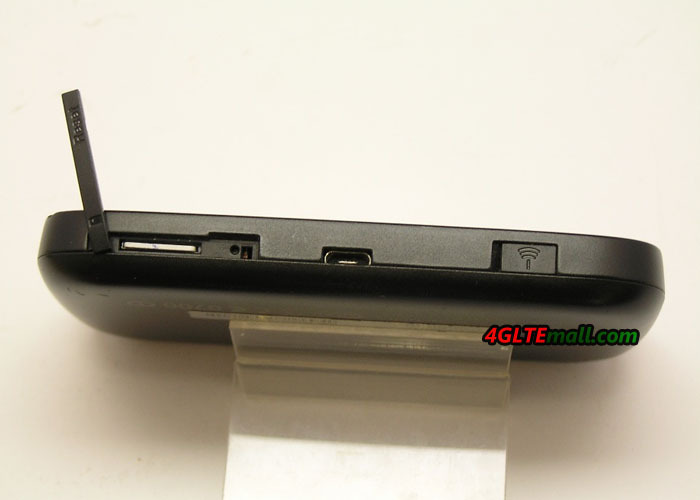 There is the micro-USB port, so you can not connect an external LTE antenna. But you can remove and replace the rear battery, which is also not so necessarily common. 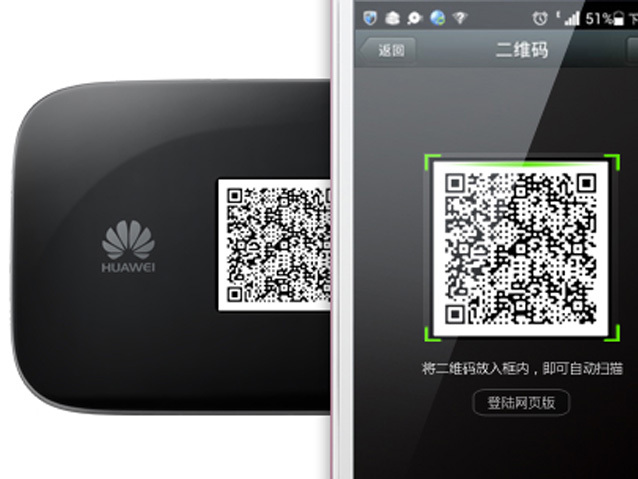 The SIM card should be present in the MicroSIM format, but a nano-sim with adapter is also no problem. 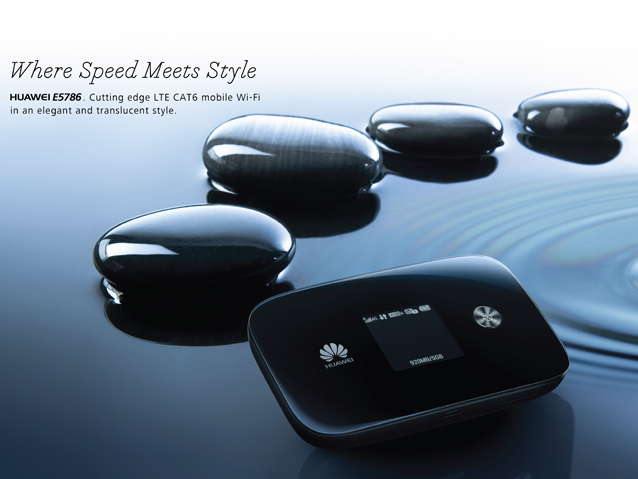 The ZyXEL WAH7706 is one of the fastest LTE router on the market, the modem allows speeds of up to 300 Mbit/s downstream and up to 50 Mbit/s upstream via LTE Category 6. The internet connection was very stable and reliable in the test, presumably a chipset from Qualcomm works in WAH7706. In Telekom’s LTE network in 1800 MHz, data rates up to 200 Mbit/s could be achieved, the latency was up to 20 milliseconds in the Vodafone LTE network. Both readings are of course highly individual and depend on various external factors, ie there are some large deviations upwards and downwards. The ZyXEL WAH7706 supports LTE bands 3, 7, 8, 20, 28 and 38 and can be used in addition to LTE, and of course UMTS and GSM networks. The use abroad is no problem, only in North America there may be restrictions on multiple vendors, as there usually different frequency ranges are used. It is generally advisable to look before buying, which frequency bands are required, if the router is to be taken more often when traveling to other countries. Thus the fast LTE Cat6 connection arrives and including connected terminals, of course, a powerful wireless radio module is necessary. The ZyXEL WAH7706 here offers dual-band Wi-Fi 802.11ac, thus allowing simultaneous operation at 2.4 GHz and 5 GHz. This is in view of the comparatively low price is not self-evident and therefore definitely worth a praise! Up to 32 devices can be connected simultaneously via WLAN with the Hotspot, which is very powerful than other similar devices. 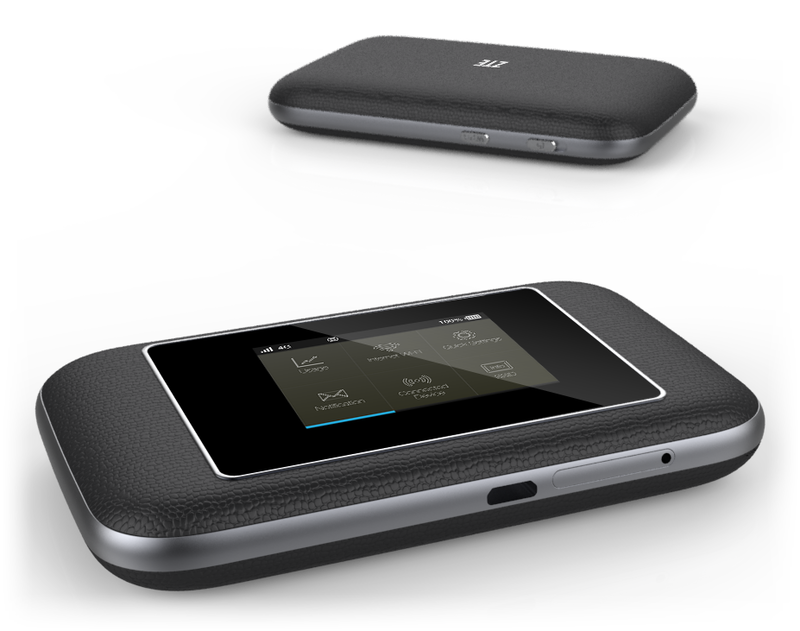 As we know, most LTE mobile hotspot could support only 10 or more to 15 wireless terminals simultaneously. The similar model Huawei E5786 is integrated a wireless extender or repeater, unfortunately this function is not available in WAH7706. The battery has a capacity of 2800 mAh and is easily replaceable by the user. According to ZyXEL, the WAH7706 provides thus an operating time of approximately 10 hours. The device was posted permanently in noisy environments in LTE network and has passed an Internet radio stream via WLAN. What positively noticed in connection with the battery: the appliance heats up despite persistent use only minimal, which is quite an advantage over comparable devices. The chipset seems generally to consume little energy and be mature. The setup and configuration of ZyXEL WAH7706 takes place via the web interface, which you easily can access by entering the IP address of the router from any browser. The web interface is simple modern decor and reacts very fast. The home page offers all important information at a glance, such as the used volume of data or the number of connected devices. There is also of course all the information about the battery status, and network technology. The menu item “Internet” can be operated on request through only in LTE, UMTS or GSM network. In addition, of course, you can adjust the access data (APN) individually, provided that the device has not been automatically entered the correct data. Through the “Data Usage”, user can store a data limit and get notified when it exceeds a certain limit, not to exceed approximately disposable in the collective volume. SMS can be sent and received, of course also, even contacts can be stored in a phone book. If a memory card is inserted, you can use the ZyXEL WAH7706 as a file server. 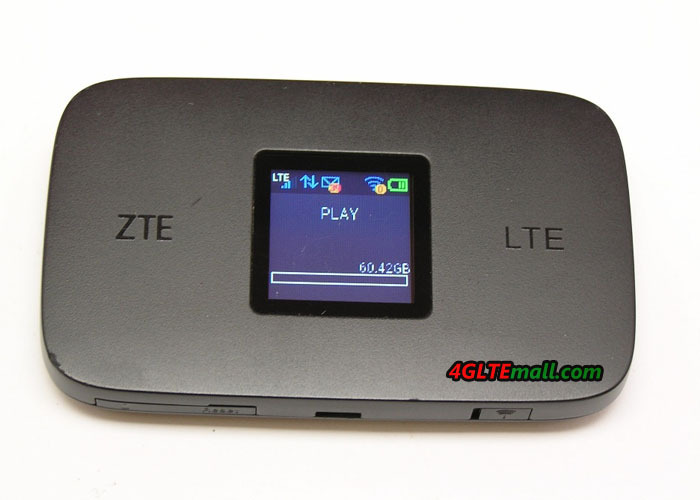 The ZyXEL WAH7706 is a very good mobile LTE hotspot. In the test, the device was able to impress with a long battery life and a fast and stable Internet connection. Also, the web interface is fast, easy to use and has many features. A drawback may be the lack of connections for an external antenna for some users. 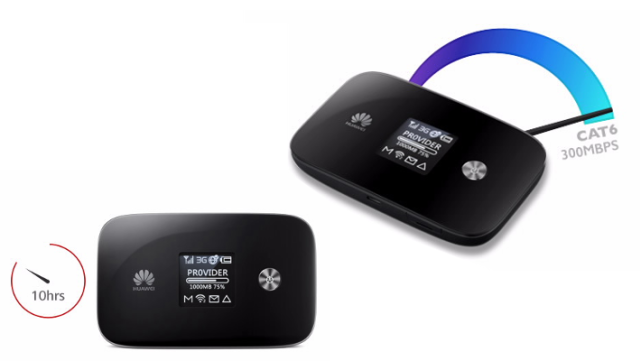 As an alternative, other vendors also provide LTE category 6 mobile hotspot, such as Alcatel Y900, Netgear AC790s and Huawei E5786, but all of them are more expensive than WAH7706.